An invitation is your chance to make a good first impression for your upcoming occasion. Your event will be unique to you, so why not reflect that with an invitation that is designed with your affair in mind. 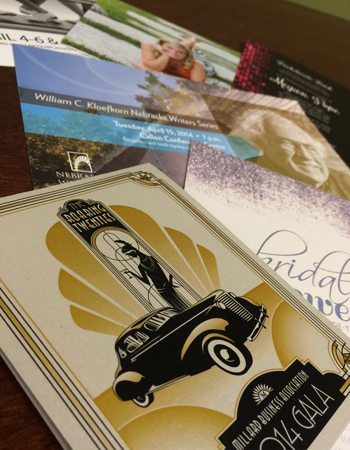 Does your non-profit need to personalize invites for your annual banquet? We can do that. Are you a business that's hosting a national conference? Regardless of your industry, we can design, print, and mail those puppies so that you don't have to.